From our recent discussion in WAYWT (viewtopic.php?p=24988#p24988), here's a general-purpose thread on the types of objects we use to adorn our homes. 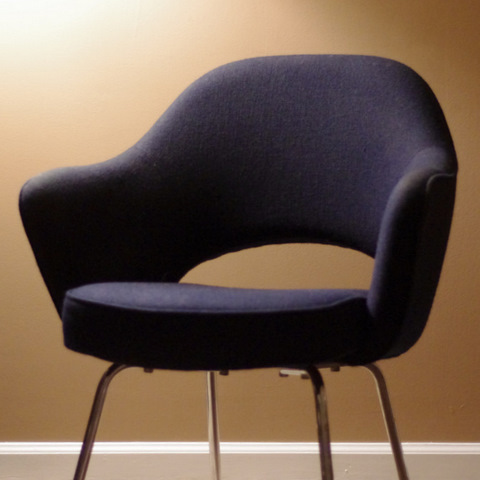 To start, my two interesting items: Pollock executive chair (my task chair) and Saarinen executive chair (a side chair in my living room). There's a lot of things about my little grad student condo that I wish I could change, but I've enjoyed picking up a few cool things here and there and making it my own over the last few years. Excellent choices to start your collection, nk! Here is a set of Saarinen's "Tulip" series of tables and chairs in the dining room, adjoining the Atrium which is surrounded by the house. The bases are made of cast aluminum with an applied powder metal coating. In this example, the table top is oiled Walnut (yup, I have to oil it once a year) and is 54" in diameter. The chairs swivel, kinda like bar stools, so they don't need to be moved to sit down or get up. In the background is a marble-topped walnut credenza, atop a bronze frame, designed by Florence Knoll in 1954. All these pieces have been in continuous production by Knoll Associates since inception. The painting above the credenza is by Dan Namingha, c. 1984. Namingha is a Hopi-Tewa native American. FInally, our North Carolina house was designed by architect Don Stewart in 1968. Last edited by Billax on Tue Aug 18, 2015 1:03 pm, edited 2 times in total. You have a beautiful home, Bill. I have the IKEA ripoff of the Saarinen table in my home. It's a bit smaller at 41.5" diameter. It was a gift from a former girlfriend who was relocating and knew that, at the time, I didn't own a dining table. This one has kind of an awful weighted plastic base, which is getting a little discolored and is hard to clean--an aluminum base would be a big upgrade. The chairs are bottom of the barrel IKEA and honestly don't quite go with the table (but they will do for now). I haven't quite decided if I want to do Saarinen when I upgrade from this one. I like the table a lot, but I'm not quite sure what chairs I'd use. The tulip chairs are the intuitive choice, but I don't think I like them as much as everyone else seems to. 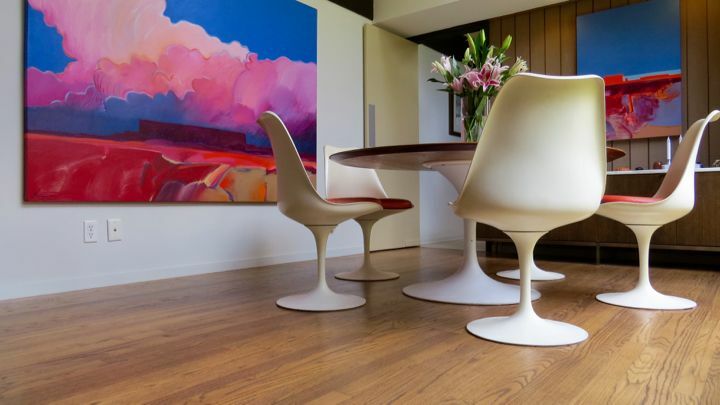 My second choice is George Nelson's swag leg table and maybe Eames DCM. It's a decision that'll be made at least five years from now, but I've been thinking about it for a while. Last edited by nerdyk on Wed Dec 28, 2016 9:10 pm, edited 1 time in total. I have a few of those decorating my walls as well! In similar frames no less! Great pictures. I was always vaguely aware of modernist furniture, but got more of an education after some trips to Helsinki a few years ago. I like the exchange here- I would not be initially attracted to such furniture, but now that I look at it I find it strangely... uplifting? The curves, upward lines... hmmm. I am coming to appreciate it. Also, seeing Bill's home helps me understand where he's coming from sartorially, just a bit more. Definitely an interesting discussion. The painting above the credenza is by Dan Namingha, c. 1984. Namingha is a Hopi-Tewa native American. Recognized the Namingha immediately. You have a beautiful collection of American Indian art that goes perfectly with the modern house and furnishings. Not a combination we see much here, but one I would like to emulate. Thanks for the nice comments nk, Ben and Cecil! I grew up with, and still like, the American antiques my folks collected and my paternal Grandmother trafficked in. As a dealer, her Federal period house was filled with case pieces from the Hepplewhite, Sheraton, and Victorian periods. Seeing so many different conceptions of what graceful, stylish, furnishings should look like was an eye opener for me. She could answer any question I had about makers, woods. coordinated fabrics, appropriate rugs for each period, differences between formal (city) furniture and painted pine (country) furniture. She was good! The only questions she had a hard time with were the ones that I often asked – and still think about: Why did one period end and another begin? What changed? Did a single event or a small group of events cause the style change? Did the change happen overnight or gradually? Was it possible to make something so perfectly, so timeless, so beautiful in its simplicity, that it would be an eternal style? When my wife and I got married, we needed to furnish an apartment and then a house. My folks contributed some of their collection, a few pieces of which followed a path from my Grandmother (she was much too elegant, cool, and formal to be called Grandma), to my parents, to our home. 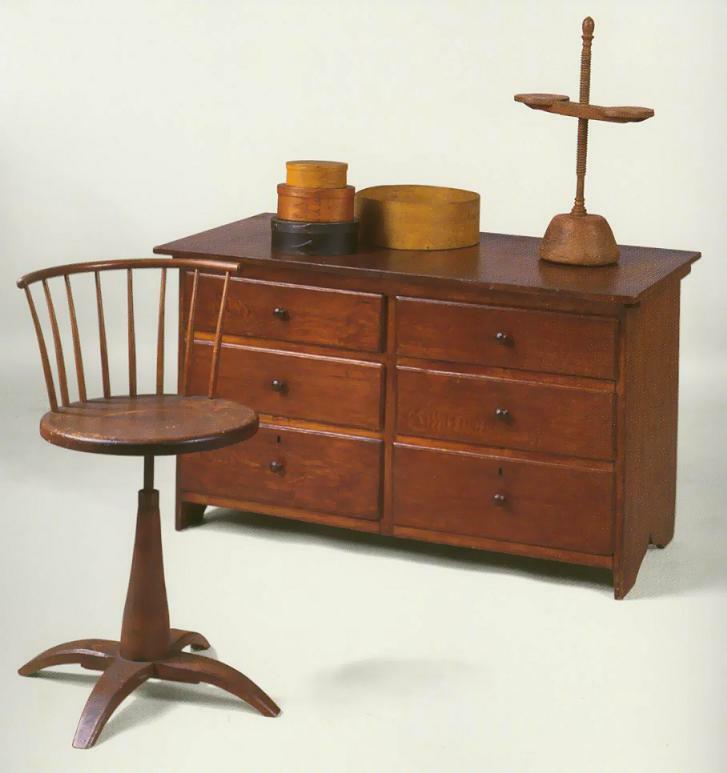 We liked the warmth and glow of wood (quarter-sawn Oak not least) and, after moving to New England for job reasons, fell in love with – and built a collection of – Shaker furniture. Shaker furniture was, to us, the affirmative answer to the final question in the prior paragraph. 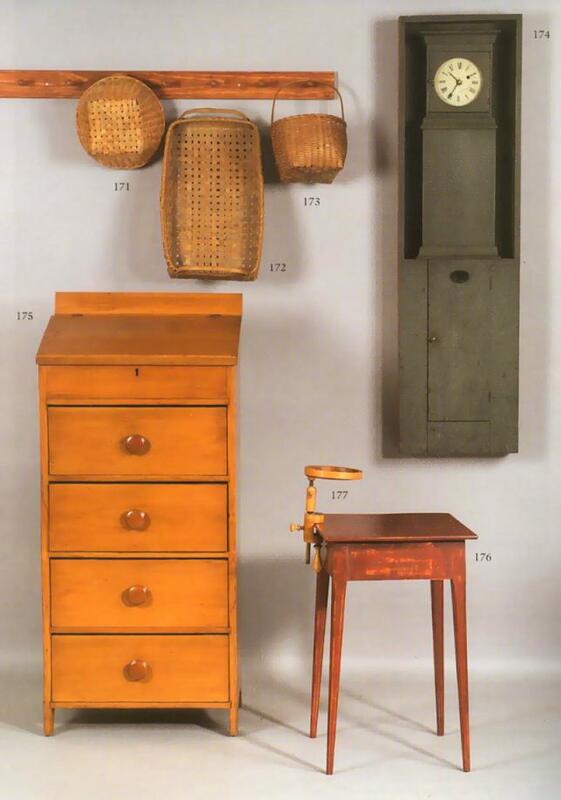 Simplicity, workmanship, functionality, eschewing any ornamentation, the beauty of a thing perfectly fulfilling its function: these are the hallmarks of Shaker furniture. 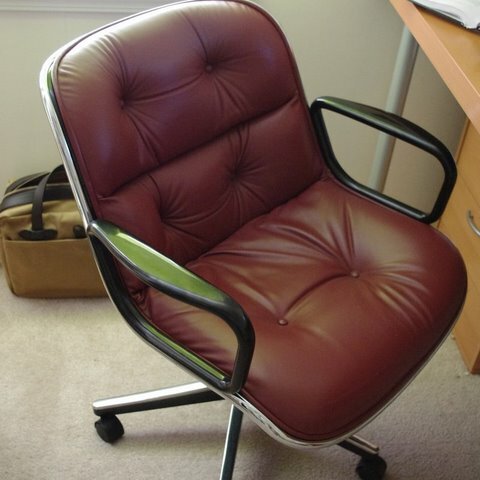 Those same qualities drew me to modernist furniture. Modernist furniture, however, is a little like my Grandmother – cool, aloof, austere. We needed warmth, color, and vibrancy as well. Enter American Indian arts and crafts! I spent two great teenage years in New Mexico and loved everything about it. We ended up combining modernism with the traditional arts and crafts of the Ancient peoples of the the American Southwest. It works for us. The Shaker Furniture? Well, that's a long story, perhaps for another time. Suffice it to say, it belongs to Bill Cosby now. Part of the Living Room. Black seating on the left are Mies Van der Rohe's Barcelona chairs, below Ansel Adams posters of Yosemite. White seating to the right are also by Mies, his Brno chairs. 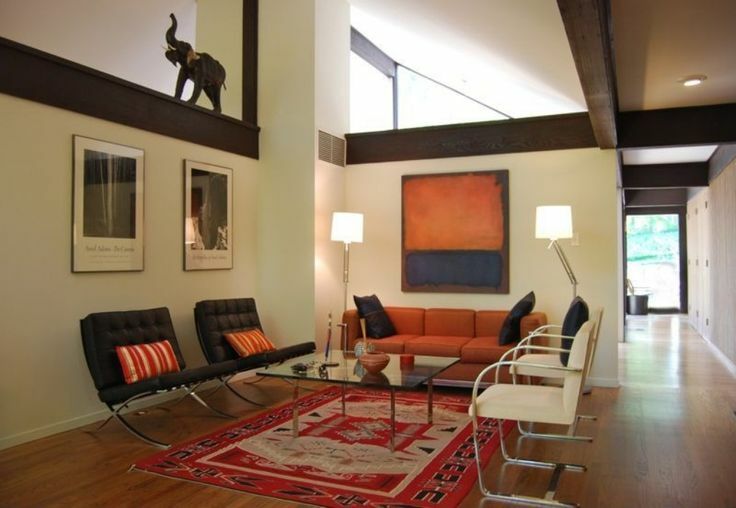 Small red sofa is Le Corbusier's petit confort.Another Barcelona coffee table and a Navajo rug woven by Rose Begay. Last edited by Billax on Mon Jul 27, 2015 2:51 pm, edited 1 time in total. This is really smart. I like that you have a bunch of really iconic MCM pieces but that your house doesn't look like it came straight out of a DWR catalog. That's one of my big worries when I start buying furniture for myself--I think it's actually kind of difficult to retain some originality when furnishing a home with this kind of furniture. I like the warmth emanating from these elements.The unspoken argument put forth by this room speaks to me: "We are tradition and cohesion. We came into being in a different time, when the world was slower and simpler – when values were clearer. We were built to last forever. We have been here for many years, and will be here for many more. When you've been away for a while, you'll miss us. We will be waiting for you." Image like this often find me slipping into anthropomorphisms. Apologies. Great room, Bill. Your sense of style doe not stop at SCs! Nerdy Karim - Did that guy do artowrk for Sonic Youth? Agreed. This would be a fantastic location for the Curriculum Annual Meeting and Gala. I'm seriously into the Colonial Williamsburg look. Not to the point of museum-grade sterility, mind you, and always on a budget. Most of our purchases have been from thrift stores, estate sales, garage sales, consignment stores, etc. Authentic 18th-century pieces are pretty much out of the question, unless I run across somebody who doesn't know what they have (in my dreams).